At the beginning of January, I attended CES 2015 in Las Vegas to see what patterns were emerging in consumer technology, specifically in the arenas of health, fitness, wellness, and and consumer medical. It’s taken a month or so to digest what I saw and look for the larger patterns to emerge. and the basic wearable (a band or watch with 3d sensor) has commoditized. There are really seven distinct markets at various stages of development and trajectories of overlap here. Sleep trackers which used to be medical devices are now accessible to all customer types. Other medical devices too are finding their way to the consumer medical market. 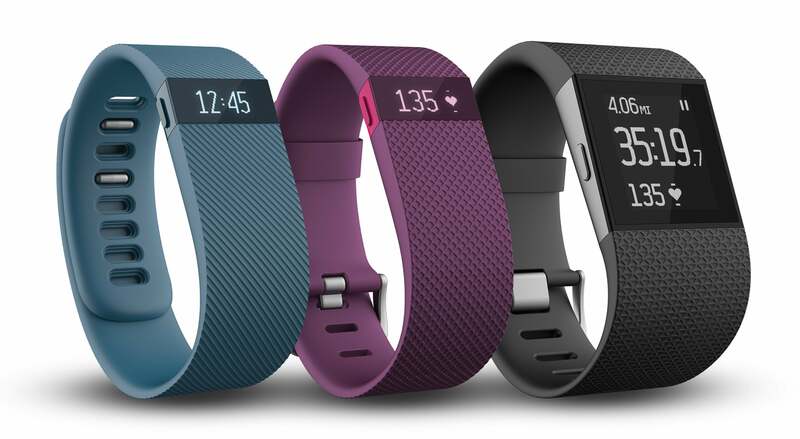 Companies like Fitbit are trying to expand from the activity tracking market into the fitness tracker market (with the release of their competent SurgeHR product). Garmin and Polar are trying to expand from the sport watch market to the still nascent activity and fitness tracking market. The traditional fashion watch market is trying to be “smarter” by adding basic notifications and such. And then there is the true general purpose smart-watch market which is starting to take over the activity tracking space, and to a lesser degree, encroaching on the low-end of the fitness tracker and sport watch market. For the most part, the fashion, smartwatch, activity, fitness, and sportwatch vendors seem to be doing very little in the consumer medical space because of the high bar of domain expertise and/or FDA approvals required. Here is a list of the best devices in Q1 of 2015. Clear customer understanding, segmentation, and richer use cases are emerging. For starters, Garmin seems to have hit their stride with a portfolio of updated devices, each aimed squarely at a distinct customer type, yet all of them shared some common underlying infrastructure, technology, and a platform for deploying apps to the watches called ConnectIQ. They are clearly expanding beyond the sportwatch category into the fitness and wellness market with these simple devices such as their Garmin VivoFit2, VivoSmart, and VivoActive but have retained the high-end professional sport-watch market with their higher-end 920XT, Fenix 3, and Epix. Wearables finally started to gain some fashion sense. Women in particular were wooed with smart and fashionable wearables such as Misfit Shine jewelry (in partnership with Swarovski), the Withings Activité and its more affordable cousin the Activité Pop. The men were not left behind either with the Guess/Martian partnership bearing fruit. Vendors built products focused on kids that included: monitoring their beds, surveilling their living space, helping them message their family, keeping them tethered to a GPS location tracker, and monitoring their temperatures with stick-on bandages, baby socks, and in one awful case, a “bluetooth-enabled pacifier.” That last one, putting a bluetooth radio chipset in your babies mouth 20 hours per day, sounds like a class-action lawsuit waiting to happen. Pets even had their own wearable tech such as collars with cameras. For your viewing pleasure, here is a gallery of the Internet of Pets. Wearables have clearly moved past the wrist, with all of its inherent design challenges and limited space, and are moving to jewelry, hearables (in or near the ear), patches like the AmpStrip, compression sleeves, shirts, baby socks, and yes…even a pacifier. That last one seems like a terrible idea with a future class-action lawsuit to follow. It was clear that companies continue to invest in the field: Withings continued to add new products and even took home three CES innovation awards, iHealth showed off a hefty portfolio of consumer medical apps, as did BeWell. And Garmin showed off their newly refreshed portfolio all built on a common underlying platform and common technology. Some truly interesting technologies surfaced on the fitness front such as a band-aid shaped AmpStrip that sticks to your body with medical grade adhesive and records your heart rate, respiration rate and movement for up to 7 days continuously. When the adhesive is dead (or the battery is dead), peel it off, swap the adhesive, charge the battery and off you go again. Who wants this? Quantified self nerds (me), competitive athletes (me), professional athletes, and others would love to have this waterproof, 24×7 monitoring capability. The software design is quite clever as well, allowing the device to record to its on-board memory if the phone is away and then data-dump that to the app on the phone later to “catch up.” As a performance athlete and data geek, I can’t wait to get my hands on these water-proof data collection pads. I also liked the Muse headband, that was designed to train your brain to focus better in 3 minutes per day by giving you an immediate audio feedback loop to train you to maintain your attention. It’s like meditation or breath practice, except with a faster, and more obvious feedback cycle. In my sport training and coaching, we use a lot of mindfulness training so I’m looking forward to testing this. Coming off a massively successful fund-raising campaign, Bragi brought their Dash hearables product to show off at CES. It’s interesting to see that crowd-funding can lead them directly to CES to show off their wares and look for partners. The Star Trek food replicator is here, or at least one of the precursor products. It is the Hershey’s CocoJet printer which lets you design and print your own chocolate. I can’t think of a better use of 3d printing. I mean, with all the workouts…I love eating chocolate! Beyond those four, here is a list of some of the best of the CES 2015 Innovation Winners. Everywhere you looked, there was another booth with another me-too watch that did “sleep, steps, and calories”. It was shocking to see how many vendors had created me-too products with zero shelf-life, low-cost, no back-end, no integration to other apps. They were EVERYwhere. I expect they will NOT be at CES 2016. It’s amazing how quickly this basic offering commoditized. It feels like we are nearing the middle of the beginning, so to speak. As a market and as users, we are gaining a better understanding of customer segments, use cases, applications, and workable form factors. We are starting to see some new biometrics and new ways of collecting them, and some companies are obviously investing for the long-term by building out their portfolios. 2015 will be interesting and I’m already looking forward to CES 2016. (2) Absence of a couple of companies – Timex is an example. (4) Optical sensors that may replace EKG sensor especially for heart rate. (5) And, shame on you Troy, the Garmin devices get uglier and less fashionable – giving Apple the perfect pathway to dominate both fashion and function. 1) I didn’t see a whole lot of multiple sensor work happening. Lots of point solutions still and a million indistinct 3d accelerometer based knock-offs. 2) Was Timex EVER there? I don’t think anybody missed them. Their top-tier watch the Global Trainer is like something from 1984. 3) Agree that there were no players there trying to make sense of it all – we’re still in the Cambrian explosion of sensors era (lots of data, no meaning). 4) Indeed, a) Scosche was there and they have a great optical heart rate sensor that I covered in my post on HR straps and b) one other awesome vendor showed me a super duper secret squirrel project that will see daylight soon. I didn’t think that a was news and b…well I can’t say more! 5) Ha! We’ll agree to disagree. I’m coveting the Fenix 3 and like Gollum with his precious ring in the Lord of the Rings series, I might be found in a cave petting it and purring over it once it arrives. Besides, there is almost no overlap between Apple’s general purpose smartwatch (that has some activity and fitness tracking bolted on) vs. Garmin’s multi-sport specific computers that happen to also function as watches and notification centers. Totally different use cases. Will Apple’s watch be “more beautiful”? Perhaps. But a beautiful watch that’s missing an altimer, barometer, mil-spec GPS chipset, waterproofing, and a month-long battery life, and that breaks when you use it outside isn’t that useful. In short, I can see that both will win. I don’t believe for a second that Garmin Fenix or 920XT owners will trade them for an Apple Watch. In fact, I know many people who will just buy both – one for the boardroom and one for the backcountry. But to think that Apple will move into the high performance sportwatch domain I think is laughable. I agree on every point. I do remember back in 1985 when the Timex Ironman was launched (don’t hold me to the date please – as the founder of Fleet Feet stores they flew off our retail shelves) and following on the trail of Casio which was the leader at the time. Where did Casio go? Where will all of these other companies go? Thanks for sharing your insights … I’d love for you to write about the enormous popularity of wearables and the danger of over promise under delivery and the consumer getting tired and not supporting this young category.